Below you fill find all funeral homes and cemeteries in or near Windom. Suburbs of Windom: Delft, Wilder. 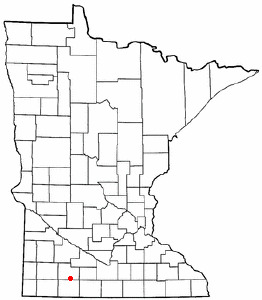 Windom is also known as: Cottonwood County / Windom city. Their current mayor is Mayor Corey Maricle. Zip codes in the city: 56101, 56118. Some of the notable people born here have been: Maria Schneider (composer and bandleader). Windom is a city in Cottonwood County, Minnesota, United States. The population was 4,646 at the 2010 census. It is the county seat of Cottonwood County and is situated in the Coteau des Prairies.Although it is a small, rural farming community, Windom is host to several parks including a newly installed disc golf course at Mayflower Park. The Des Moines River flows through Windom and serves as a gentle, rapid-free canoeing spot. It was revealed on November 8th, 2018 that William Dennis James Moore passed away in Rockford, Illinois. Moore was 62 years old and was born in Windom, MN. Send flowers to express your sorrow and honor William Dennis James's life. It was noted by Orange County Register on August 19th, 2017 that Robert Wayne "Bob" Malone perished in Pasadena, California. Malone was 88 years old and was born in Windom, MN. Send flowers to share your condolences and honor Robert Wayne "Bob"'s life. It was disclosed by Estherville Daily News on June 5th, 2017 that James "Jim" Kilen passed on in Sioux Falls, South Dakota. Kilen was 75 years old and was born in Windom, MN. Send flowers to express your sympathy and honor James "Jim"'s life. It was disclosed on April 30th, 2017 that Gary Dean Schons passed on in Windom, Minnesota. Schons was 71 years old and was born in Waterloo, IA. Send flowers to share your condolences and honor Gary Dean's life. It was reported by San Mateo County Times on December 22nd, 2015 that Elizabeth Louise Kerchner (Christensen) passed on in San Jose, California. Ms. Kerchner was 80 years old and was born in Windom, MN. Send flowers to express your sympathy and honor Elizabeth Louise's life. It was reported on November 19th, 2015 that Patricia Ann Sheehan (Thomson) died in San Antonio, Texas. Send flowers to share your condolences and honor Patricia Ann's life. It was revealed by Waterloo/Cedar Falls Courier on March 22nd, 2015 that Liesa C Bailey (Brobst) perished in Cedar Falls, Iowa. Ms. Bailey was 63 years old and was born in Windom, MN. Send flowers to share your condolences and honor Liesa C's life. It was revealed on March 7th, 2015 that Sharon Walsh perished in Windom, Minnesota. Walsh was 72 years old. Send flowers to express your sorrow and honor Sharon's life. It was disclosed on February 20th, 2015 that Lola Joanne Keckler (Balzer) perished in Alamosa, Colorado. Ms. Keckler was 74 years old and was born in Windom, MN. Send flowers to express your sorrow and honor Lola Joanne's life. It was written by Des Moines Register on November 22nd, 2014 that Jeffrey T Spielman died in Iowa. Spielman was 61 years old and was born in Windom, MN. Send flowers to express your sympathy and honor Jeffrey T's life. Windom is a city in Cottonwood County, Minnesota County, Minnesota, United States. Windom has been assigned ZIP code 56101 by the United States Postal Service. It is the county seat of Cottonwood County. The population was 4,490 at the United States Census, 2000 census. .
funerals in Windom, MN 56101 on Yahoo! Local Get Ratings & Reviews on funerals with Photos, Maps, Driving Directions and more. Funerals in Windom, MN on Yahoo! Local Get Ratings & Reviews on Funerals with Photos, Maps, Driving Directions and more. We work with local florists and flower shops to offer same day delivery. You will find budget sympathy flowers in Windom here. Our funeral flowers are cheap in price but not in value.